You might say, 'The sky is the limit' when it comes to Dr. Mae C. Jemison. Not only was she the first woman of color in the world to go into space, but she is also a successful entrepreneur, having founded two technology companies and a non-profit organization. 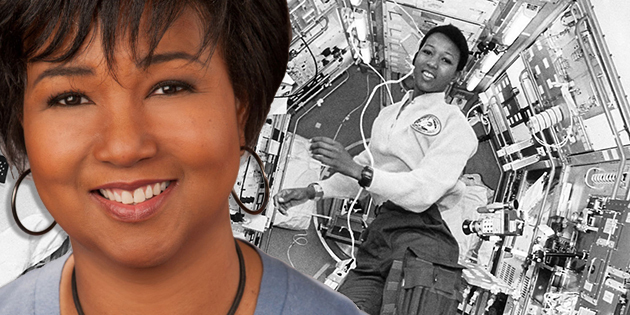 Dr. Jemison is an engineer, physician and former NASA astronaut. After general medical practice and the Peace Corps, she was selected by NASA to join the astronaut corps. In 1992, she became the first African-American woman to travel in space when she went into orbit aboard the Space Shuttle Endeavour. After returning home from space, in 1993, she founded a company called the Jemison Group that researches space technology and it's application to daily life. In 1999, she founded another company called BioSentient Corp. which focuses on developing portable technology that allows mobile monitoring of the involuntary nervous system. Jemison is also currently a Professor-at-Large at Cornell University, but taught at Dartmouth College from 1995 to 2002 as a professor of Environmental Studies. In 2009, she worked with First Lady Michelle Obama in a forum for promising girls in the Washington, D.C. public school district. Although Jemison calls Chicago home, she was born in Alabama in 1956 and attended school in Chicago. She entered Stanford University at the age of 16, earned her Doctor of Medicine degree in 1981 at Cornell Medical College, and interned at Los Angeles County-USC Medical Center. She is also an accomplished dancer, and she serves on many boards, including the National Academy of Medicine and the National Women’s Hall of Fame.